Hi guys! I’m excited to announce I’ve partnered with The Home Depot to show ya’ll amazing spring savings on furniture and decor. 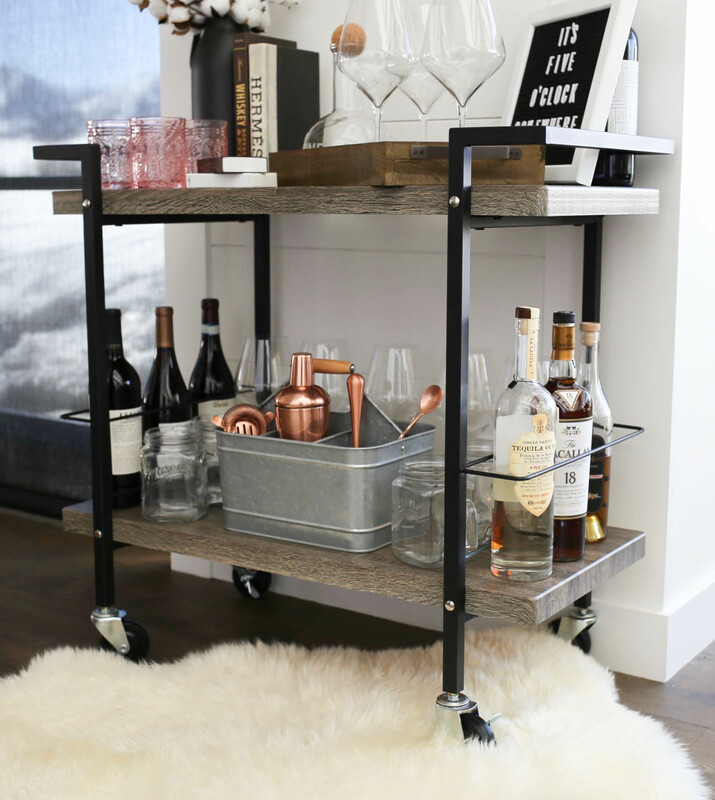 Today it’s all about THE perfect everyday bar cart for your home. I have always known The Home Depot to be a great destination for home finishes. Come to find, the online selection of interior goods such as furniture and decor, is massive. With free shipping on orders $45+, flexible delivery options and free returns in 2,200+ stores, they make it as convenient as possible to shop. 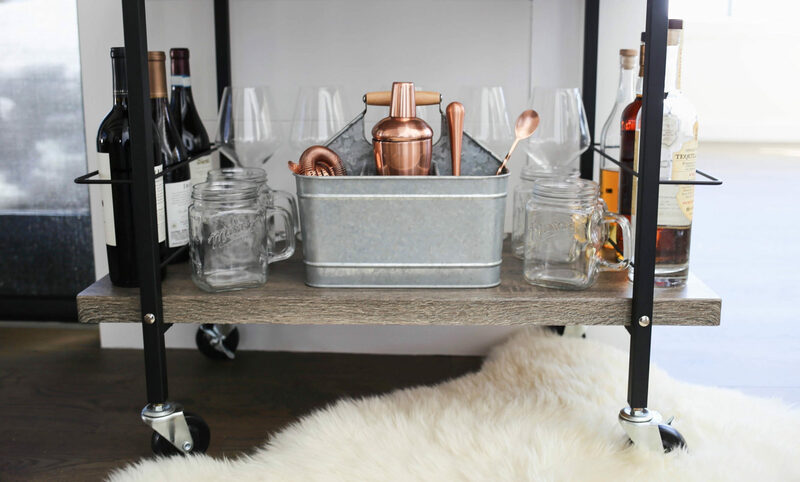 I was in the market for a bar cart for my new home and all of the goodies that come along with it: glasses, decanter, bar tools, etc. 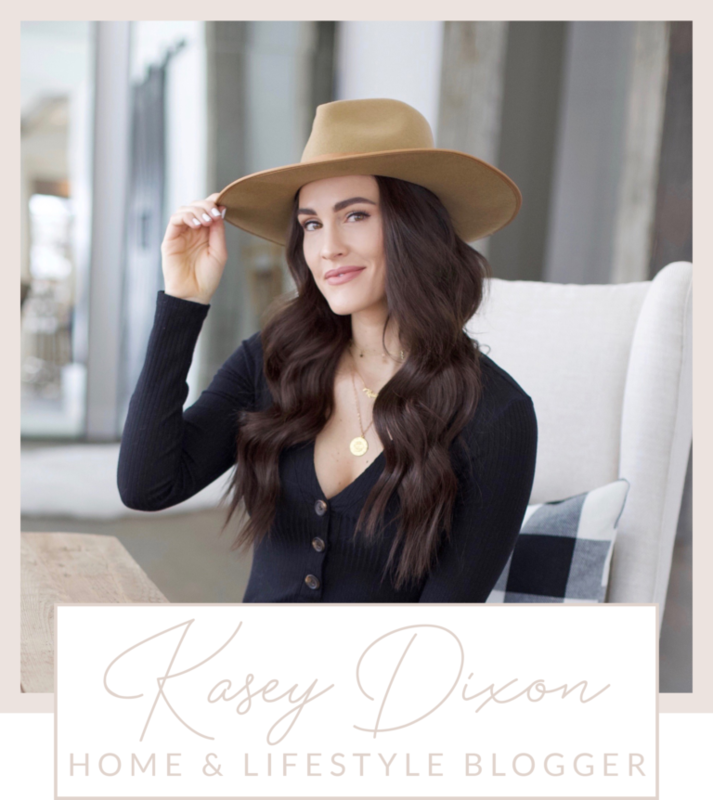 I began my search on The Home Depot website and was happy to find an amazing selection of items that were stylish, in-line with my interior theme and amazing price-points. Y’all know I love a deal! 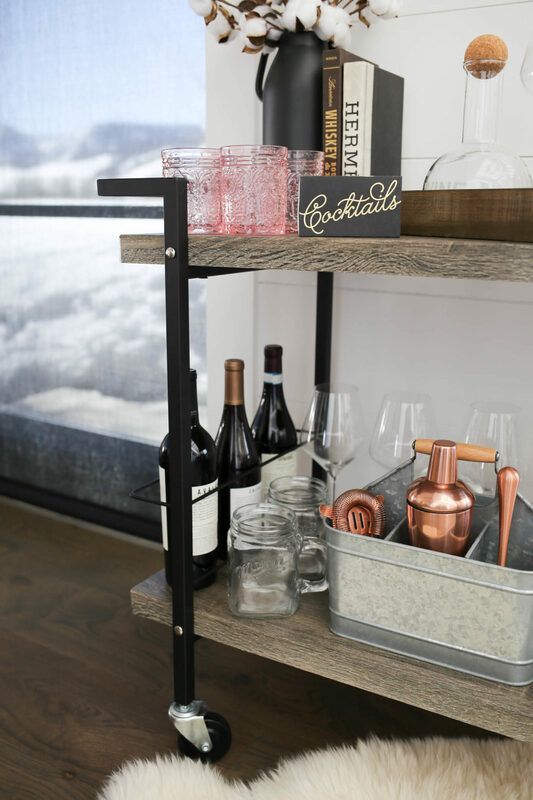 My selection for a bar cart was the perfect fit for my modern farmhouse style home. It has clean black lines, designed with two pieces of wood, for a mix of old and new. When it arrived at my home I was so excited to set it up. Yes, I put it together! The assembly was a piece of cake, taking me about 5 minutes. Oh and this beaut was $113 – you can’t beat that!! 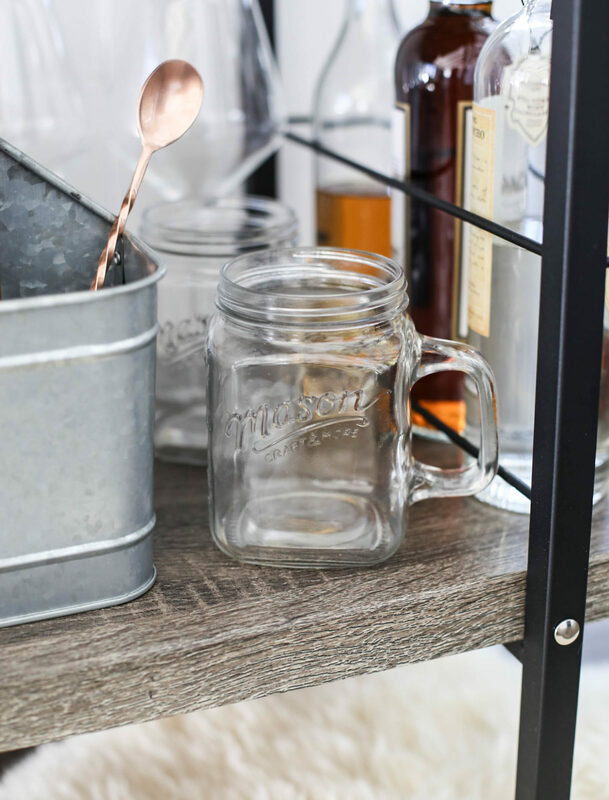 It was now time for glassware, styling items and more. Luke and I love to entertain and we usually drink a little vino when we have guests over. 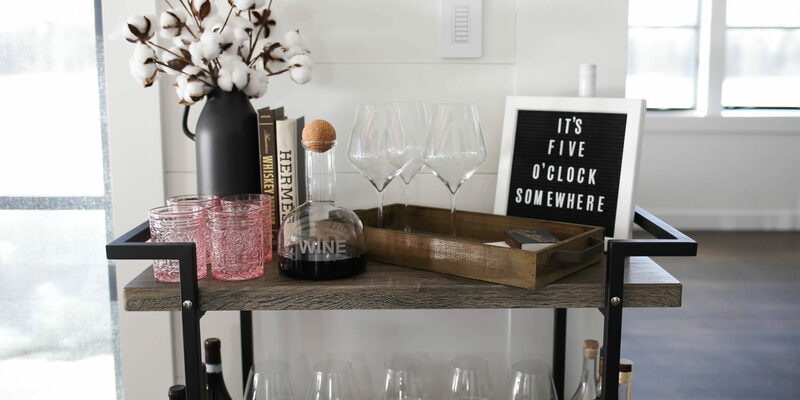 I knew I needed classic wine glasses and I found them right away on Home Depot’s website. A set of four are under $30! 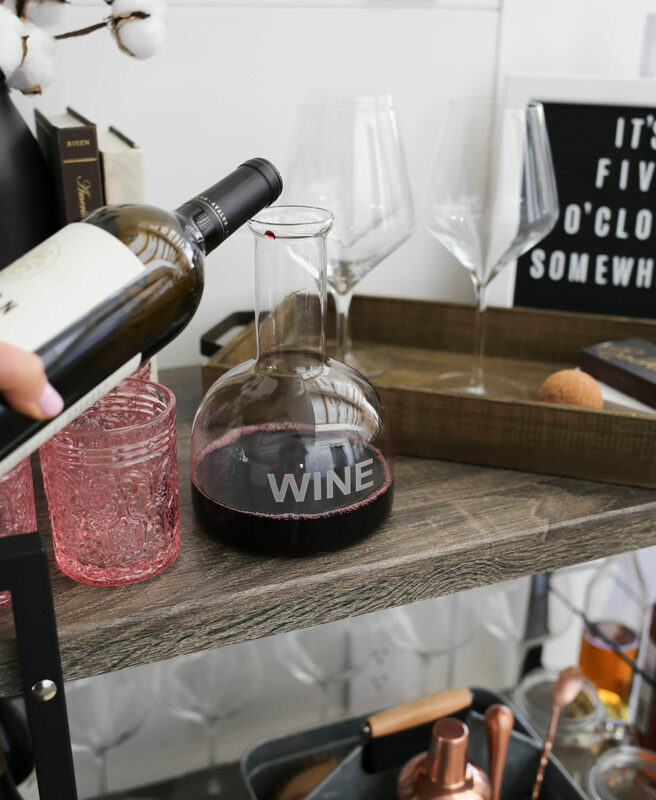 I also love decanters for bar cart styling and I came across a cute ‘WINE’ gem for $31. 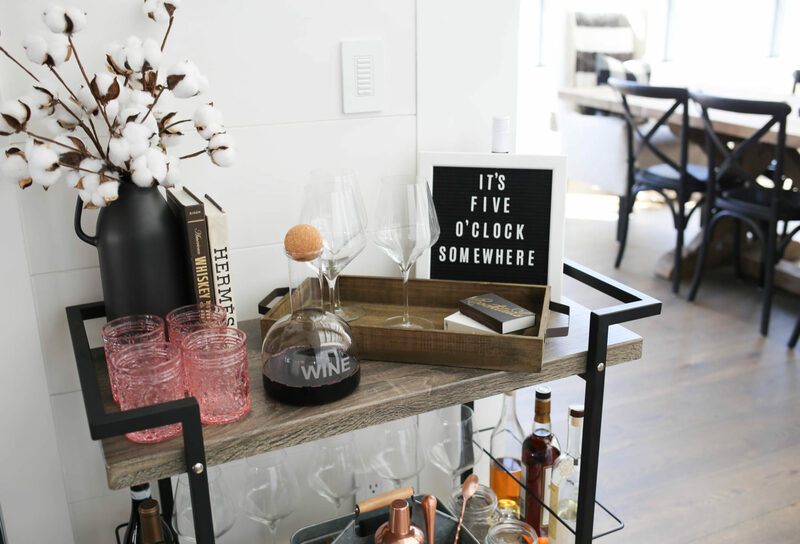 Even if you don’t use it regularly, it’s a very cute decor item! I then decided to add two more fun glasses into the mix. 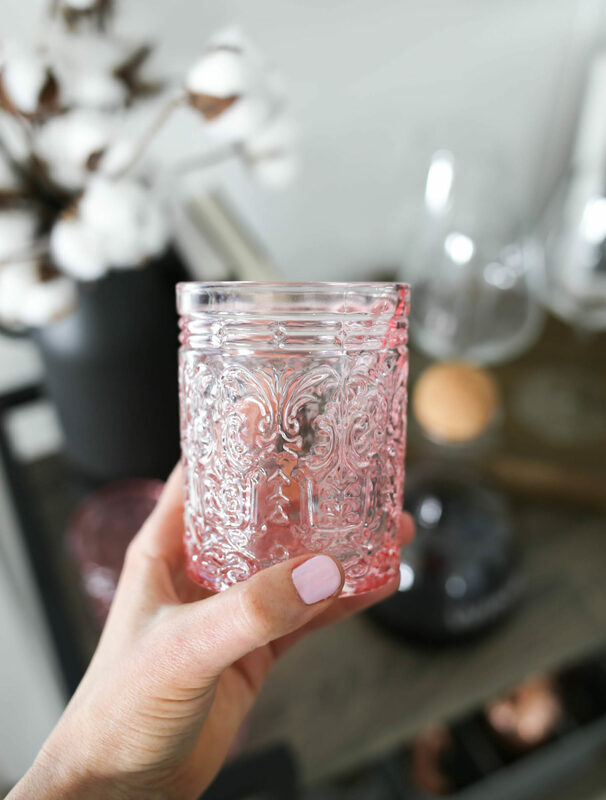 Oversized mason jars were the perfect farmhouse touch paired with blush cocktail beauties, for a pop of color this spring. I am SO obsessed with both of these gems!! 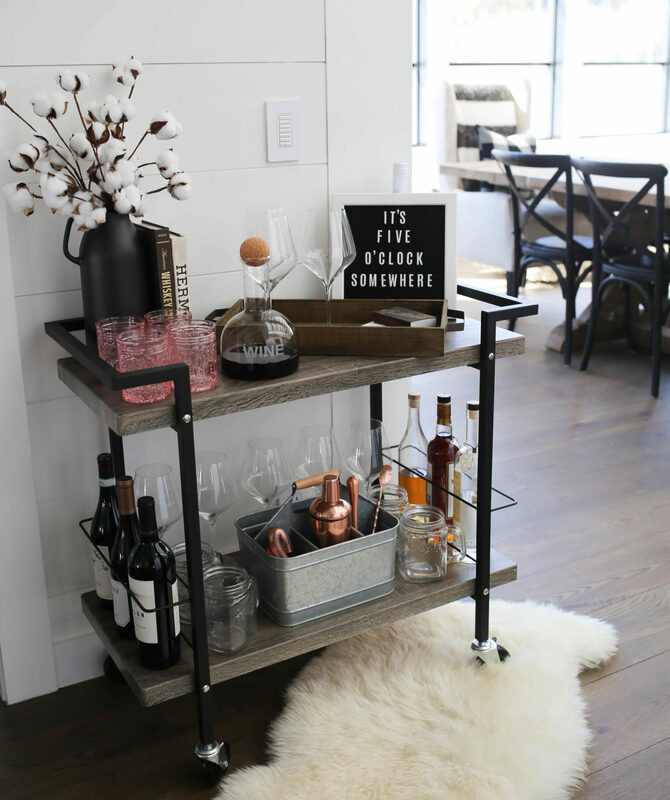 My cart is now set up to serve all types of drinks: wine, cocktails, lemonade and more! To finish off the cart, I found a copper bar tool set. I’m pretty sure this setup isn’t complete without it. Ya’ll need to have everything to make a proper martini! 😉 Amiright?! 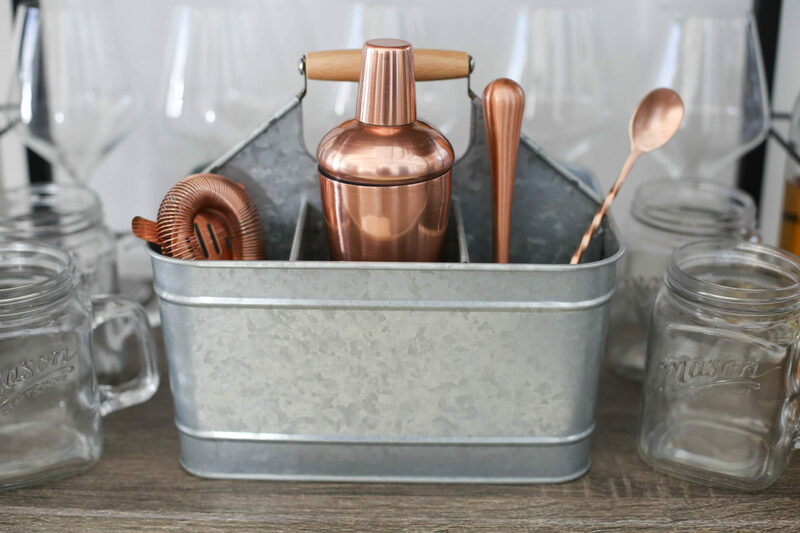 The set comes with a shaker, double jigger, hawthorne cocktail strainer, twisted handle bar spoon and muddler all for $44. Keep in mind, this would be a great gift for a cocktail-loving friend! 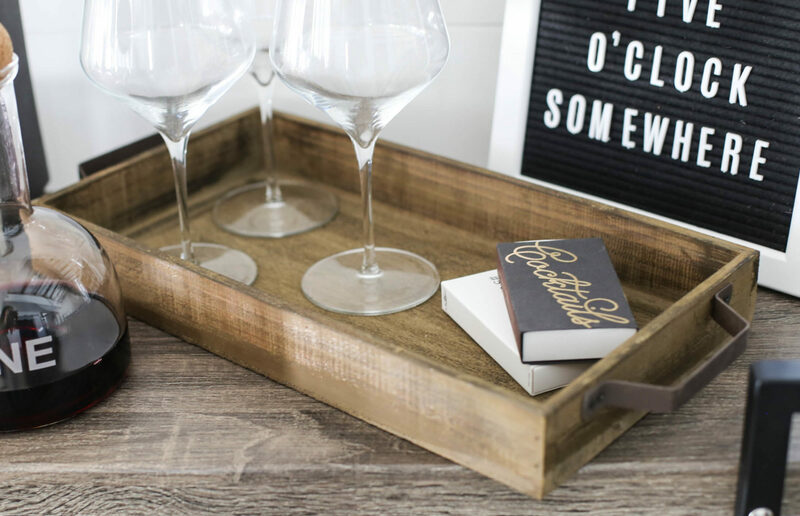 Lastly I found a few “organization” decor items – a rustic wood tray and galvanized carrier. I used both of these to display all of my bar goodies. Ok, babes… who’s ready for a spring BBQ and a beverage?!! 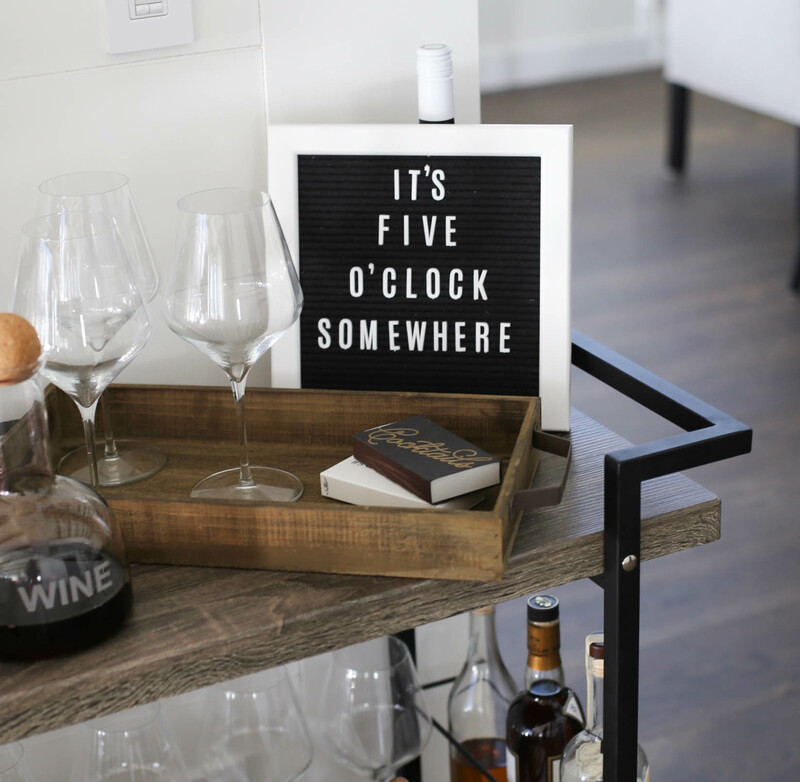 I mean, It’s five o’clock somewhere! 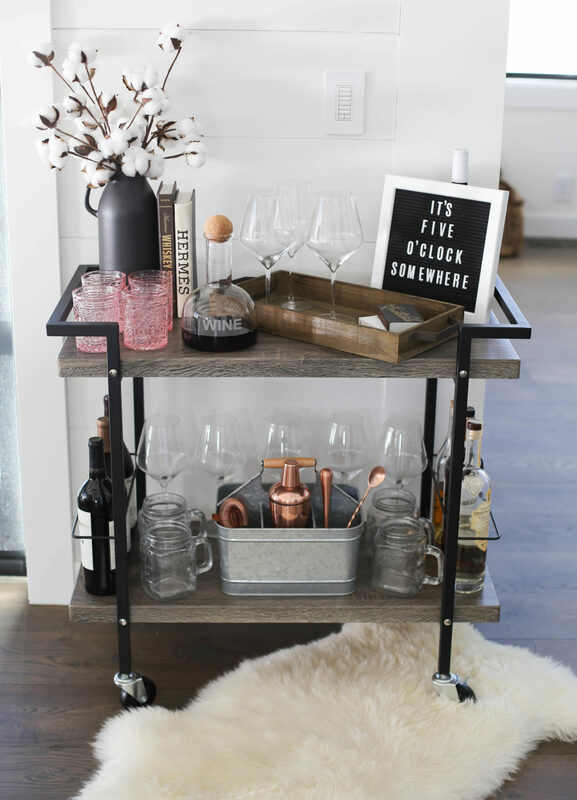 🙂 See below to shop all of my spring bar cart finds a la The Home Depot. Trust me, you will not be disappointed! As always leave a comment with any questions. A huge thanks to Home Depot for sponsoring this post! 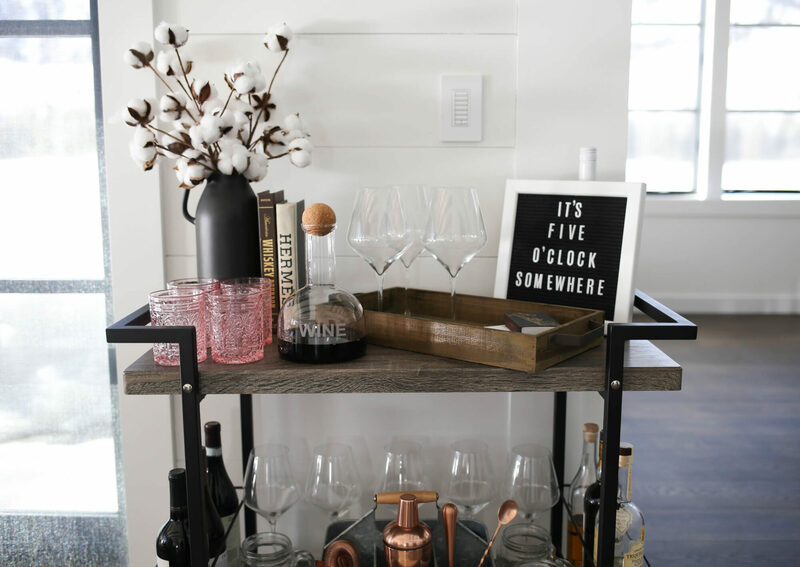 Share the post "Bar Cart Spring Savings"
Oh my gosh, how cute, I love how you styled everything! 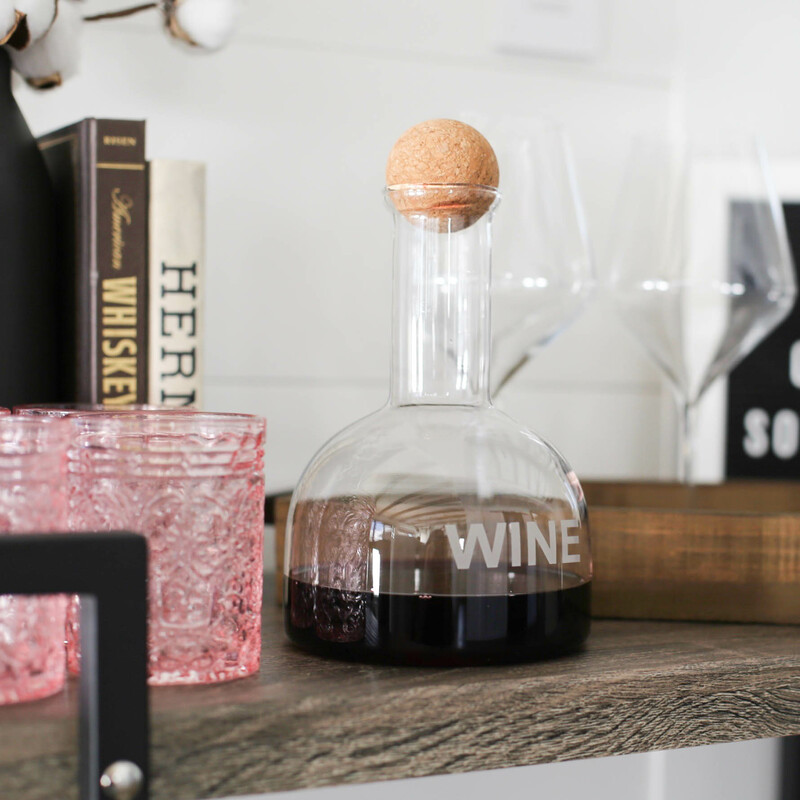 I especially love the wine decanter! So adorable! only you could find things at Home Depot and make it look so good!! Love it! !